Authentic, versatile, uncomplicated - the Vintage Edition 1906 combines retro design with modern technology. Proven products, a whole new range, one philosophy: The Vintage Edition 1906 by LEDVANCE brings new life into historic shapes of lamps and luminaires. Cool result: real design highlights. Combined with efficient LED lighting technology. Stylish lamps and luminaires to help you create a stylish retro style in your home. Do not limit your creativity! 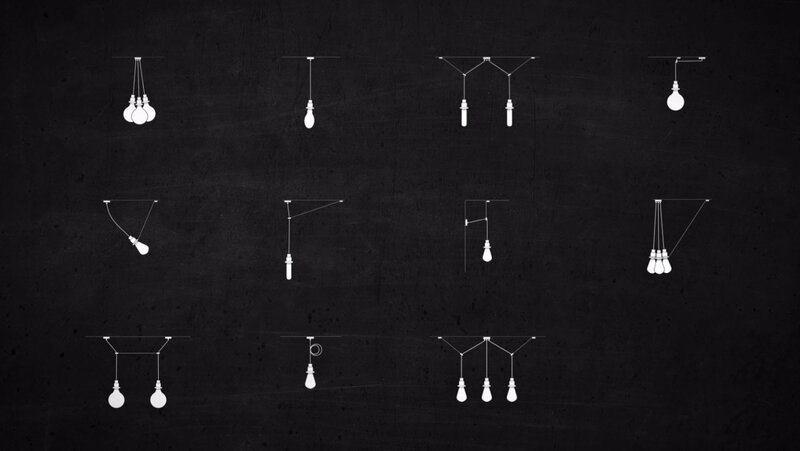 Bring your lighting into the center of attention in your home. High-quality products are designed with dedication and love for detail. This is especially the case for the Vintage Edition 1906. Guided by timeless styling, lamp classics such as Globe, Edison, Oval and Tubular allow light to shine at its most beautiful. The PenduLum luminaire in minimalist industrial design combines aesthetics with functionality. The puristic design of the Edison, Globe, Oval and Tubular lamps with satin-finish aluminum base in gold or black is true to the original style. The combination with different luminaire shades and the use of the pull rope system for suspension results in innumerable variations. 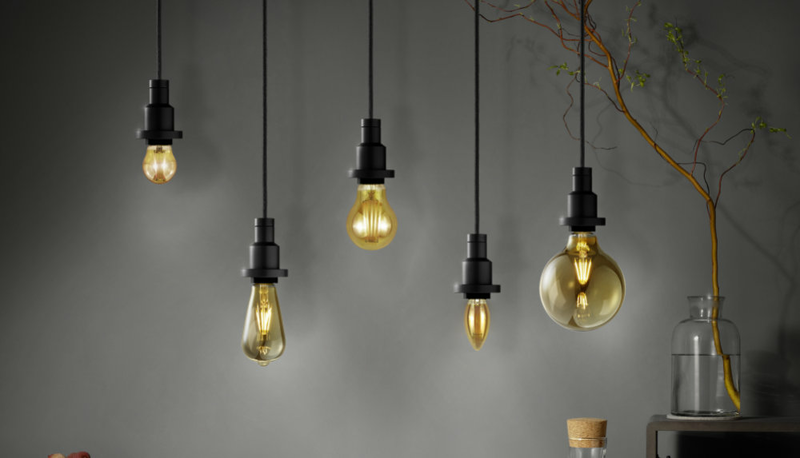 Sophisticated lighting technology – LED or halogen – combines classic traditional values with modern features, such as energy efficiency, durability or light quality. Vintage, retro, classic, nostalgia – call it whatever you like but there’s no denying it’s all the rage! From the American jukebox playing classics on vinyl to the iconic Italian Vespa, retro is experiencing a dynamic revival the world over. And at LEDVANCE, we are spreading the glow. The way we live is changing at breakneck speed. But the faster we head towards a bold, new digital future, the more we seem to love all things retro. In an increasingly virtual world, we crave nostalgia, timeless design, authenticity and durability. And maybe it’s the fact that retro simply looks cool – after all, it’s the ultimate style statement. Icelandic product designer Thorunn from Reykjavik and freelance photographer Johannes from Berlin share perspectives on the topic of light. "Good design has integrity," says Icelandic product designer Thorunn from Reykjavík. It has to fulfill aesthetic standards and be functional at the same time. Weather and light are very extreme in Iceland. That's why people there want a cozy, warm home where they can feel comfortable. Using light to create a cozy atmosphere is especially important for Thorunn. "Photography captures moods" As a freelance photographer, Johannes feels that everyone needs their own individual light. He uses light very deliberately to capture the character of a person and the right mood. In his eyes, design not only makes life easier thanks to its function but also more beautiful simply through its presence. Whether Loop, Wing, Handstand or Bouquet – anything goes. Never before was it so easy to combine and mount luminaires. The Vintage Edition 1906 PenduLum luminaires with textile cable and clever pull-cord system ensure your favorite combination.